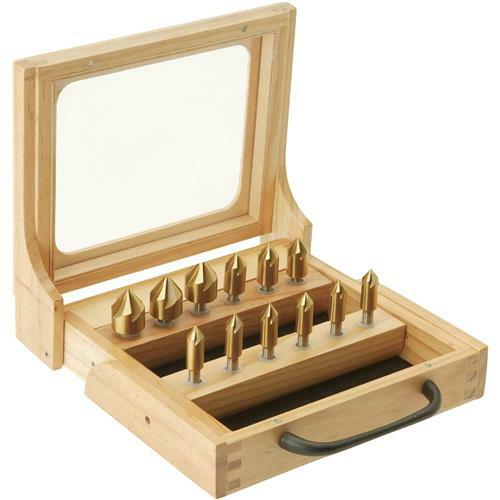 You’ll always have a sharp countersink ready to go with this 12 piece set. TiN coated for lasting durability, this set includes 82°, 5 flute countersinks in three diameter sizes: six - 3/8", three - 1/2" and three - 3/4". Shanks are 1/4". Comes with a see-through wooden case. I like the ability to dress up the holes I drill in my work pieces. 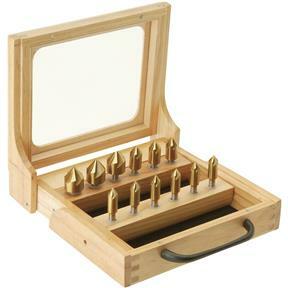 This countersink set will allow me to add the fine touches to my hobby projects. I especially like the shanks all being one quarter of an inch allowing me to use them on my small micro lathe I purchased from Grizzly.